Plot 2D complex or point data composed of angle and radius values. You can plot arrays of complex or point data composed of angle and radius values. For point data, the polar coordinates are given as (theta, r), where theta represents the measure of the angle and r represents the distance of the point from the pole. 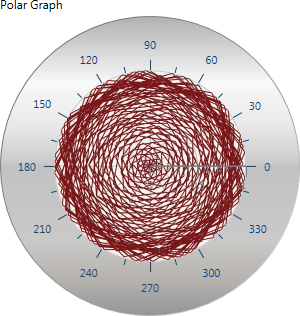 For complex data, polar coordinates are given as (phase, magnitude), where phase represents the measure of the angle and magnitude represents the distance of the point from the pole. The following table describes how polar graphs plot arrays. The array is a single plot, where each cluster or complex value is a point. 2D array of complex or cluster values Each row of the array is a separate plot.